The humour in the subsequent comments on the meme were a snapshot of the realities that couples find themselves in, as phones continue entrenching themselves in people’s everyday lives. “She better leaves it at the good memories and let that go. Why do people invite pain into their life?” said one commentator. “Now he will be dealing with some more nagging, right before he goes,” joked another. To share or not to share your phone with your significant other? Even when death is beckoning, it appears there are people who would rather have their phone contents among the secrets they carry to their graves. The power of the gadgets to break marriages cannot be overstated. Lifestyle spoke with a woman who said her first marriage ended after five years partly because of the material she used to find in her husband’s phone. Another man complained to us how his wife’s overnight usage of social media is wearing down their relationship each passing day, while there was a couple that discussed their unusual openness with phones, to the extent that the man sometimes lets his wife answer texts on his behalf. We also contacted Pastor Michael Kabugi of New Life Counselling Centre in Mwiki, Nairobi County, who explained why spouses should share passwords. “When it comes to marriage, I strongly recommend that spouses should know each other’s password, and even free to use any of their phones without any party getting uneasy about it. In any given marriage that is meant to last, there should not be any ‘no-go zones’ or grey areas,” said Pastor Kabugi. But it is never that straightforward. In a 2011 study of 49 married individuals by Ms Evah Nyaguthii, who was doing a research for a Master’s degree at the University of Nairobi, 21 people, representing 46.9 per cent of the sample, admitted to using their phones for hidden purposes. Only 20 of the 49 said their phone passwords were known by their spouses. Thirty-two of those sampled admitted to sharing phones with their significant others, 15 said a straight no; while two chose not to respond. “Some respondents indicated that their phones were a business tool and, therefore, had nothing to do with their spouses,” Ms Nyaguthii reported. Tellingly, among the 15 who said they did not share phones, 11 were men. Stella*, a resident of Ruai in Nairobi, has witnessed first-hand what happens when a husband is not willing to share his phone. “We set passwords together. After some time, I started noticing some strange behaviour in him. I also discovered that he had changed his password. I knew something was up,” she said. “Just a few months into the marriage, I happened to come across a text on his phone addressed to a woman in his Master’s class. I have never forgotten that message. It read: ‘You have such hot thighs.’ When I confronted him, he turned the whole thing around on me and accused me of snooping,” she narrated. Her husband then created secret folders, where he would stash the evidence of his philandering ways. But he was not discreet enough because Stella came across almost all of them. She never hesitated to confront him whenever she found undeniable evidence of his cheating. “One time after a confrontation, he told me that it was my fault because if I had not gone snooping on his phone I would not have found anything fishy. He said that I deserved to be punished and so he committed himself to changing his password every single day. I stopped bothering with him and for some time we lived as mere roommates in the house. Shortly after, I walked out of the marriage,” she said. Her second marriage is a breath of fresh air. She says that for the past four years, she has never had a tiff with her husband because of their phone. Then there is Richard* from Nairobi’s Utawala who has begrudgingly accepted the fact that he may never change his wife’s social media addiction. Whereas Richard often leaves his phone to charge overnight, his wife takes the phone with her into their bed. “She can chat deep into the night. It is annoying but we have been married for 16 years now and I’m quite used to it. Sometimes I want us to have some good time but she is occupied by her phone. By the time she is done, I am sound asleep, or the mood is diminished,” he lamented. Although both their phones have no passwords, Richard said he steers clear of his wife’s gadget to avoid conflict. As a matter of fact, he added, he cannot pick her phone “even if it rings itself hoarse” unless the call is from a relative. He said he has never been tempted to steal glances at her screen even when she is chatting under the covers of their bed, as he feels that it will create unnecessary drama. “If you want your marriage to work, you must avoid drama at all cost. Sometimes she even rises from the bed following a chat and goes to receive calls elsewhere. I just turn the other side and sleep. It has stopped bothering me,” he said. “I do not go looking for evidence because if you go digging, you will surely find what you are looking for. I do not need that kind of trouble in my life. We have children and my role is to keep this family grounded,” added Richard. However, the laissez-faire attitude does not go both ways. She cross-examines him after phone calls depending on the tone he used in the conversation. Sometimes, he said, she randomly asks for his phone so she can go through his texts and pictures. A while back, she stumbled upon a suggestive text and that sparked an argument between them. To date, she keeps bringing up the incident whenever they argue. “In the spirit of evading unnecessary issues, I regularly delete certain messages and call logs from my phone. Some of these messages are from good friends of mine and are very innocent. Any other person can easily dismiss them as harmless. Not my wife,” he said. “With time, I have learnt to sieve the messages. I know which texts are likely to rub her off the wrong way so after reading, I delete immediately. It works out fine for everyone in the end,” added Richard. Pastor Kabugi, the marriage counsellor, said reluctance by one party to share a phone is a symptom of a dysfunctional relationship. “There should be no skeletons in marriage,” he said. “Sharing phones is one of the most beautiful things that should be in marriage. We must keep it in mind that the two are now one, according to God’s chemistry in Genesis 2:24. This arrangement is not only as per the Bible, it also applies to all religions and cultures across the world,” added the pastor. Speaking of no skeletons, Lisa* and Nick* who live in Nairobi’s Embakasi, who requested that their identities be protected because the husband is media-shy, said that since they wedded one-and-a-half years ago, after courting for seven years, they share their phones often and randomly. “We have no secrets when it comes to the phone. When we change gadgets or something, we update each other on any password changes,” said Lisa, the more vocal of the two. Nick added that Lisa is usually eager to share interesting things or funny memes on her phone with him. Lisa said that Nick is not a fan of texting and that she prefers to call him instead. “If you text him, he hardly texts back. In fact, most of the time he requests me to reply some of his chats. I enjoy replying the interesting ones on his behalf,” said Lisa. Nick corroborated the information, saying that Lisa does a fantastic job “sounding like me”. But they reckon it was not always like this. In their first three years of dating, the phone sparked numerous rows between them. Lisa, being a social person, was almost addicted to her phone and this set Nick on edge. “I would go visit her in her hostel and instead of us spending some quality time together, she would be very busy chatting with other people on social media. Sometimes I would demand to know who she was speaking to and things would escalate very fast,” said Nick. But after they settled their trust issues, all went well. “The turning point for my hard headedness was when he calmly asked me: ‘Between our relationship and your endless phone chats, which is more important to you?’ It made me think and I realised that all these other people were mostly passers-by. He was the one constant friend in my life and so I decided to spend less time glued to my phone and more time with him,” said Lisa. 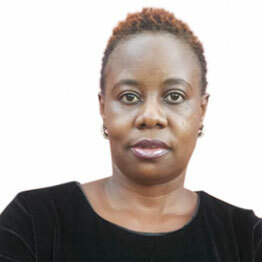 According to marriage counsellor Philip Kitoto, who runs a relationship advice column in the Daily Nation, a good union should entail ease of accessing information. “A healthy relationship is one where I am free to find out whatever I need to know about my spouse without having to use unorthodox means to get the information,” he stated while addressing a reader recently. “Cultivate a relationship based on mutual sacrifice: Build a ‘best friends’ culture. There is a way friends treat each other,” added Dr Kitoto. Speaking of unorthodox means, there is a plethora of snooping apps currently available in the market, which have been gaining currency among suspicious spouses keen on catching their loved ones in the act or reading texts and call logs. Web forums are replete with messages on how to eavesdrop on conversations on WhatsApp, Facebook and the likes — a symptom of how the digital age has bred distrust. Pastor Kabugi said one way of preventing such scenarios is by letting exes be exes. “We all have exes, and the best thing one can do to avoid destructive interference from the exes is as soon as possible delete their phone numbers and discourage them from constantly calling,” he said. “There’s nothing as toxic to any marriage as these shadowy, phoney callers who keep popping up on the phone, some even at some very odd hours, messing up your precious moments,” he added. In Ms Nyaguthii’s study, 63.3 per cent of the sampled population said the phone determined the happiness in a marriage or lack thereof. “Spouses are to blame for their misuse of the phone which affects their marriages negatively,” stated Ms Nyaguthii.